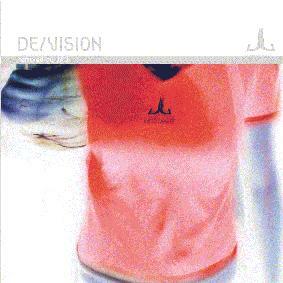 On July 30 DE/VISION released the CD " REMIXED ". 11 songs from 1993 - 1996 remixed by Jose Alvarez Brill (Producer DE/VISION , Wolfsheim) with re-recorded voices from the band. The CD contains the long awaited previously unreleased single version of "Blue Moon 99". The track listing by the way is a result of our fans, as we constantly asking them on our homepage about their most favourite songs etc. and to support that approach we will have the picture of a fan on the cover. Through the "i regret 2003" release, this cd in the news. The CD is released by our "own" Label SPR and is distributed via Indigo (SPR026) and was also released in North-America by Metropolisrecords and in Scandinavia by Memento Materia. Have a look at our Promo-page for a list of official promo-cd's and how you can get them. To protect you from any illegal records or illegal versions, we inform you about any official Promo-CD. (c) & (p) by DE/VISION. Any use of the mp3 file in the internet, any direct link to this file or any kind of duplication is not allowed. Germany + Rest of the world Limited edition and normal edition. Foreign people can also order trough the normal edition. North-America Normal edition (without blue moon) 8.October .